The Thomas More Law Center announced on Wednesday that nationally recognized appellate lawyer John Burch will represent its client, the Tennessee General Assembly, in next week’s appeal of a lower federal court’s ruling to the U.S. Sixth Circuit Court of Appeals. “John’s integrity, outstanding litigation skills, and impressive record on appeals prompted me to ask him to join our fight. I can’t think of anyone more qualified to represent Tennessee and the constitutional principles involved in this case,” Richard Thompson, president and chief counsel of the Thomas More Law Center (TMLC) said in a statement. The federal government has violated state sovereignty by forcing Tennessee to continue paying for the program after Tennessee opted out and exercised its right not to participate. TMLC is appealing after a federal district court judge dismissed the case. The Law Center is representing Tennessee without charge. Mr. Bursch, a former Michigan state solicitor general and past chair of the American Bar Association’s Council of Appellate Lawyers, has an impressive client list ranging from Fortune 500 companies and foreign and domestic governments, to top public officials and industry associations in high-profile cases. His cases frequently involve pressing political and social issues, and five had at least $1 billion at stake. He has argued 11 U.S. Supreme Court cases and obtained summary reversal on three more, compiling a Supreme Court merits record of 10-2-2. He has also argued 30 cases in state supreme courts, and dozens more in federal and state appellate courts across the country. A recent study included John on its “veritable who’s who of Supreme Court litigators” list. “The case could answer the questions of whether or not the federal government can force a state to pay for a federal program which the state does not want, and how and when the U.S. Constitution limits federal encroachment on state sovereignty,” Don Barnett, a fellow at the Center of Immigration Studies, told told Breitbart News in an exclusive interview. The ongoing cost for support of refugees on public assistance is the biggest portion of the overall cost of the program. States bear a portion of the cost for ongoing welfare. This federal support for state welfare outlays was gradually scaled back and by 1991 was completely gone. This support was also scaled back by Congress and by 1991 the promised 3 years of cash and medical support had been reduced to eight months – a fraction of the support needed to ensure economic self-sufficiency. One solution was simply to change the definition of “self-sufficiency”, a statutory and regulatory measure of program success. Today under HHS’s novel definition a refugee can be in public housing, receiving Medicaid, food stamps, cash from SSI, etc. and still be considered “self-sufficient” by the government. Only TANF or Refugee Cash Assistance causes a refugee to lose the “self-sufficient” designation. 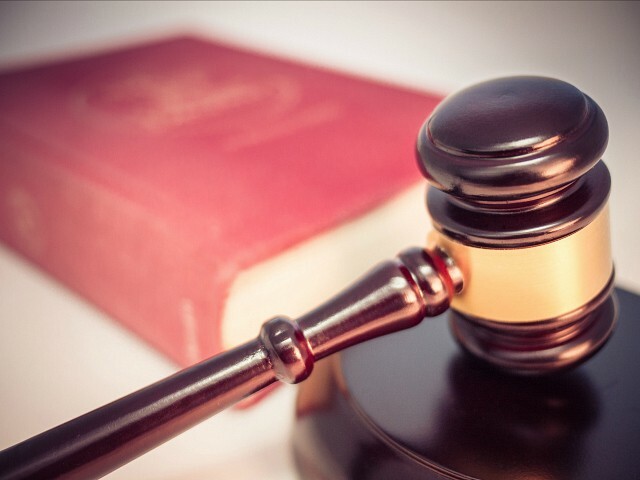 On Tuesday, the Tennessee General Assembly declared it will sue the federal government over its refugee resettlement program on Tenth Amendment grounds. The State Senate passed a resolution authorizing that lawsuit in a 29 to 4 vote one day after it passed the Tennessee House by a 69 to 25 margin. “Today we struck a blow for Liberty by finally adopting SJR467,” State Senator Mark Norris (R-Collierville), the co-sponsor of the resolution who shepherded it through the State Senate, tells Breitbart News. “The General Assembly clearly understands the importance of public safety and state sovereignty as demonstrated by the overwhelming support of this Resolution for which we are thankful. The Syrian surge heightens our sense of urgency to get this properly before the courts, and we urge the Attorney General to act without delay,” Norris adds. The Tennessee General Assembly hired the TMLC to represent it in the litigation on March 2017, and in August 2017, the case was filed in a federal district court. Surprisingly to many supporters of the lawsuit who believed the Trump administration might settle the case in favor of Tennessee prior to a court decision, the Department of Justice, under the leadership of former Attorney General Jeff Sessions, defended the case vigorously. Barnett explained the curious nature of that decision in his interview with Breitbart News. After the Obama administration raised the annual refugee quota to 110,000 for FY 2016 Maine, Texas, New Jersey and Kansas asked to withdraw from the program. Alabama, Alaska, Kentucky, Louisiana, Nevada and Tennessee state governments had withdrawn from the program earlier. These states found that resettlement continued as the federal government merely continued the program with private federal contractors. A total of 25 states sued the federal government in an attempt to halt the planned large-scale Syrian resettlement, some citing the lack of legally required consultation by the feds with states targeted for resettlement. “The Tennessee case is the only refugee resettlement lawsuit based on the 10th amendment and is the only state resettlement lawsuit still active today,” Barnett added.